For years, Michelle, a friend of mine has listened to my belief and practice of the Law of Attraction. Basically, the Law of Attraction is the belief that everything you feel and think is what you receive. In my personal practice and in order to receive positive things and experiences, I believe that one has to genuinely desire such for authentic reasons. For the past 8 years, Michelle has commuted 90 miles to work each way everyday. She makes the commute because it was her dream to build and buy her own home. Over the past couple of years, the commute has grown tiresome and she had plateaued at her job. Michelle applied for several jobs over the years, but none seemed to be “the one”. In July 2013, Michelle saw a job opening for a position at a company 11 minutes from her home. Michelle’s hometown is the equivalent of St. Pauls, NC. There are a few restaurants and shops. This position happened to be with a company that has several offices around the United States. I prompted Michelle to visit the company, pick out her parking space, sit there and breathe. I suggested she visualize what it would feel like to have an 11-minute commute, how her life would change with an extra 3.5 hours in her day. Latching onto this idea of the law of attraction, Michelle did even better. 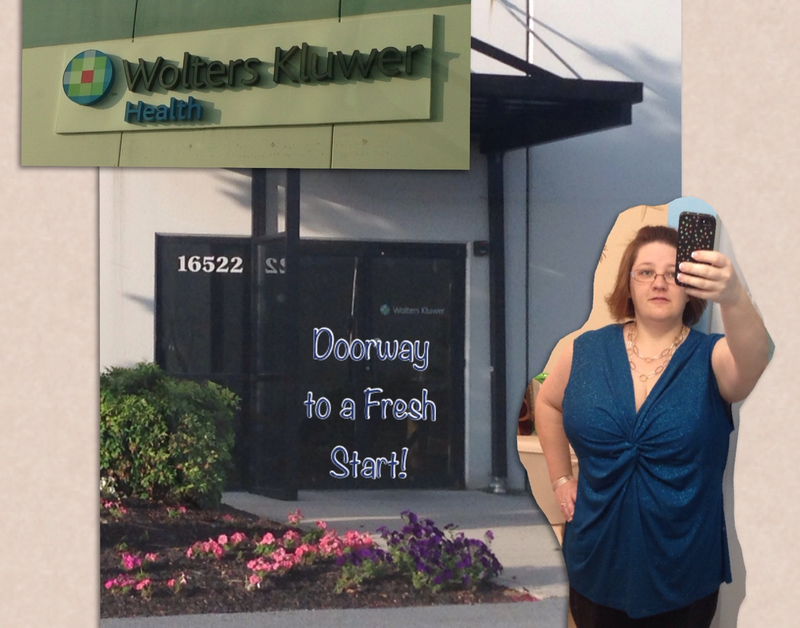 She texted me a picture; that she made, of herself standing in front of the door to the potential employer. This picture further solidified her experience in bringing her desire for change to fruition. (The idea is to make the wish incredibly sensory impactful that one ONLY thinks and feels that wish in order for it to come to fruition.) Michelle did this by immersing herself in learning about the company; she mapped out her commute, created a new budget, planned for her future financially, physically, emotionally, and relationally. Michelle began to daydream about a shopping spree for her new image, her new corporate job. All the while, Michelle became more aware of her environment. 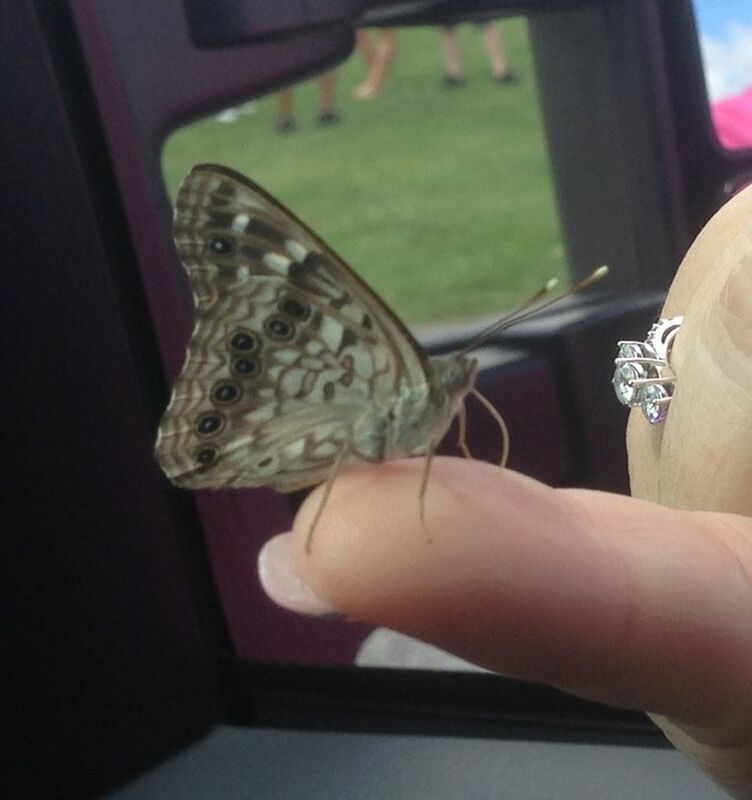 She texted me a picture of a butterfly that willingly walked onto her hand during an outdoor social event. While researching symbolism of the butterfly, we realized that butterflies are the epitome of change, transformation, evolution, etc. Then, she was notified that she was not chosen for the position. It was a letdown, but her contact at the company mentioned another upcoming position. Her contact also discussed putting Michelle’s name in for the future position. Michelle often felt burdened by her perception of others not being as committed or as driven as she is. Although this continued to be a theme after the interview process, in my perspective, it wasn’t as strong. The negativity was waning. I told her that she had to get to a place emotionally where she appreciated having a job and the experiences there. Michelle forecasted experiencing difficulty in a meeting with leadership that turned out to be “better than expected.” The energy shifted. It was lighter and easier. There was a shift in Michelle’s perception. She realized that she shouldn’t “obsess” about getting the position like she had during the previous round of interviews. About a month later, she learned that her resume had put in the running for a completely different type of position. The interview process seemed to go much quicker this time. The people with whom she spoke wanted to know about Michelle as a person. They already knew she was more than qualified for the position. This company explained that most of the team members had been there 20-30 years and they were looking for someone with that type of commitment. Did I mention that Michelle has had an extended commute for more than 17 years; either sitting in traffic or driving about 2 hours each way? I think she IS committed. There was another shift. Michelle realized that it wasn’t that she wanted to leave her current employer, she wanted to be part of a “family or a home”. She described this family in detail. She was excited to learn that the team members had such longevity. She wanted the opportunity to be part of team such as this one. This shift is incredibly essential to the law of attraction. It was no longer that she was “running or leaving” something it was that she was joining something for a greater purpose. The first motive is negative and judgmental. The second is positive, hopeful, uplifting, etc. You have to appreciate where you are in order to get where you want to be. She was asked if she could participate in an in person interview one day. Michelle took a step back and reported that she is committed to her current employer and that would put them in a bind; offering them the alternative option. The new company appreciated and respected that commitment and chose to accept Michelle’s alternate option of an additional telephone interview based on her availability. I think this is essential as well because she slowed down and breathed. She considered her priorities. Her priority is to join this new company, but her current employer is the priority until she receives the offer. It may not be what she wanted to do, but it was the right thing to do. She then learned that she would have three in person interviews the following Monday, which were magnificent. I expected her to leave with an offer, but it turns out the person with the final hiring power (the one with whom she interviewed telephonically) was out until the following week. PATIENCE! She realized that she is in a new place emotionally and mentally and has become sensitive to people who have different agendas. 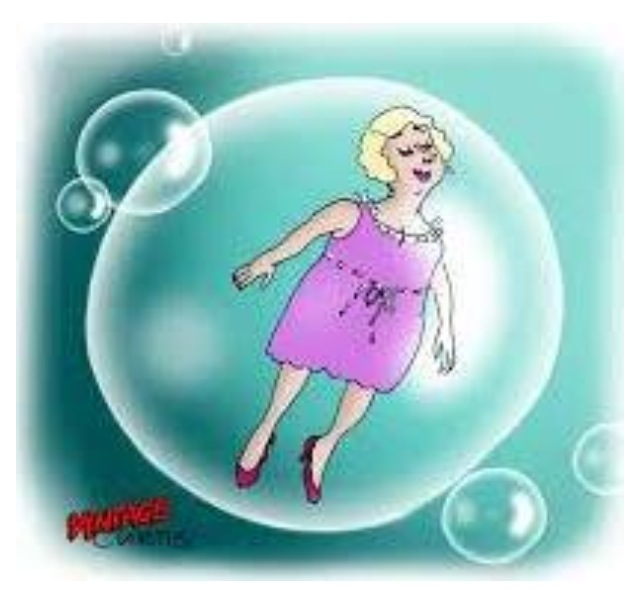 Taking it a step further, Michelle found a graphic of a woman inside of a bubble. Using this as a logo, she was again expending energy being in this new place of spirituality. This is a key component of the law of attraction as well. You are an immediate reflection of the people who surround you. If you don’t like what you see, feel, experience, change your social circle. It isn’t bad. People have different ideas of where they would like to be. Michelle explained that she consulted her spiritual advisor a few weeks prior and was advised on patience as well. In the mean time, I had Michelle consider how magnificent it would be to sleep in, spending time with her new puppy; take her time getting ready, prior to the interviews. Michelle had it. She had already scheduled a morning at the spa practicing some self-care before she started her day. This is another essential component to the law of attraction. We often lose ourselves in the rat race, the would’ve, could’ve, should’ve, negative cycles of life. We cannot take care of others until we take care of ourselves. We will not receive great things until we are grounded, clear, receptive (to all easy and difficult), and positive. 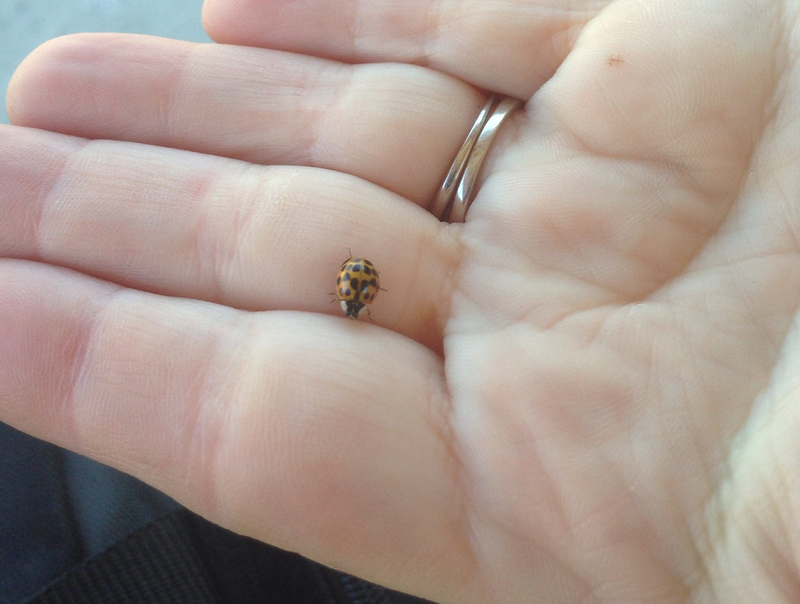 After arriving home from the interviews, Michelle texted me a picture of lady bugs that she noticed. She said that they had just appeared and were not there during the previous weeks. 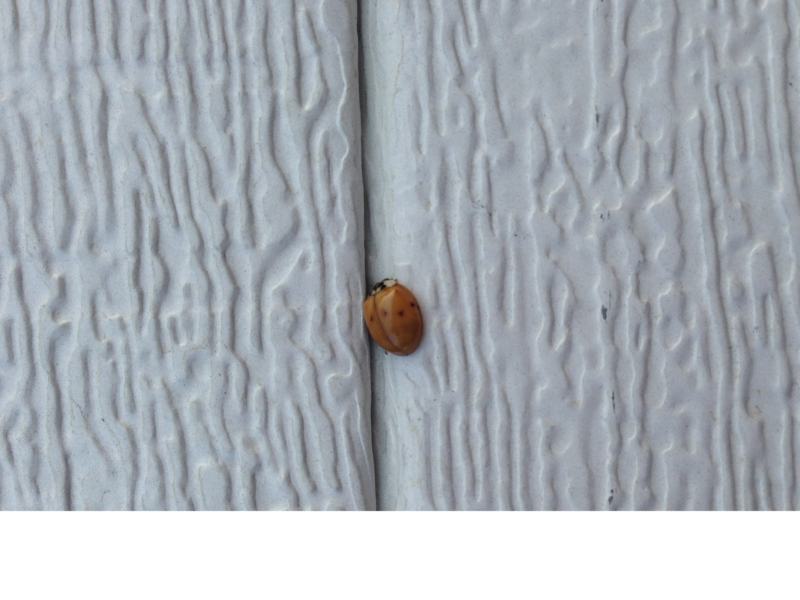 The ladybug symbolizes a message of patience. The test of patience paid off for Michelle, got the job! She got it! Did I mention that she got the job? She accepted the position with elation and continues to practice patience during her period of transition. I am incredibly blessed to have been able to float in Michelle’s bubble during this journey of enlightenment and learning, living, and incorporating the law of attraction. You are what you think and feel. P.S. 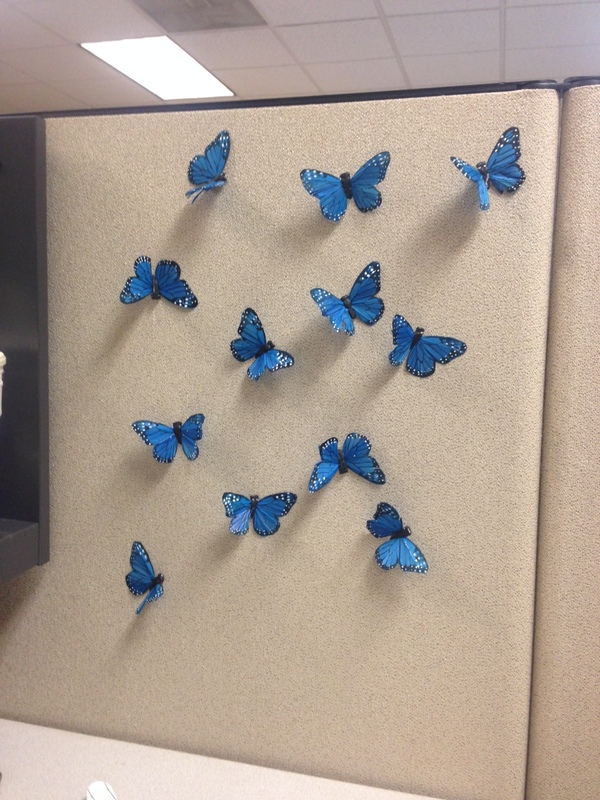 I decided to send Michelle a box of butterflies for her 40th birthday. Guess when they arrived… On the first day of her new job!